While computing enters our glasses and watches, the love for sleek, more mobile technologies continues to grow. However, a smart watch or even your smartphone cannot replicate the convenient and powerful experience delivered by your home desktop. 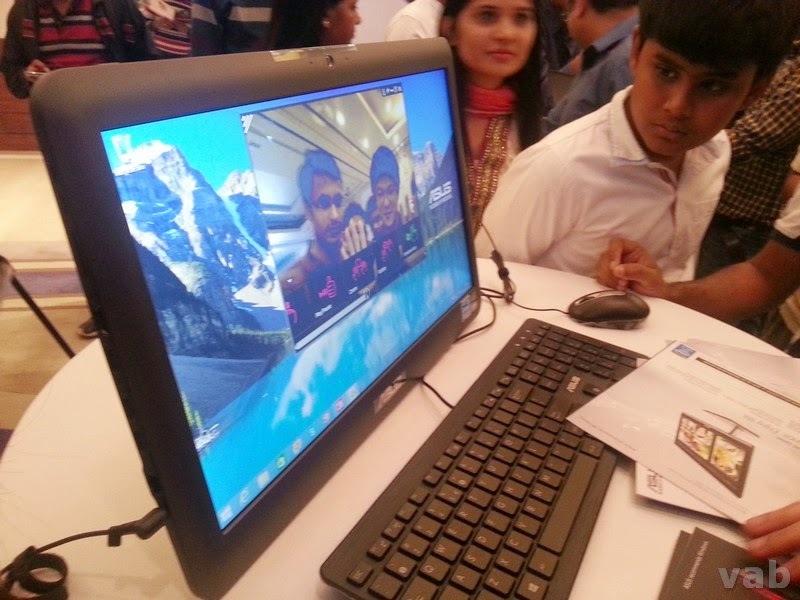 One of the devices which aims to bring best of both worlds and bring home users a unique experience is ASUS All-in-One PC ET2040. A truly impressive experience indeed! I got an opportunity to experience the device at the ASUS Indiblogger Meet at Bangalore yesterday and quite liked some of the features. ASUS All-in-One PC ET2040 is no doubt high on styling - slim and very stylish! However it also boasts of its fast processor and high-performance graphics. With a 1TB hard drive plus 100GB FREE cloud storage on ASUS WebStorage it has enough space for all your stuff. What's more - it comes with smart backup power and hence immune to power cuts as well. Its interesting and satisfying to see more and more device makers not only focusing on performance but also on design. The fact that such innovations are not just restricted to Mobile devices, home PC users also can expect some exciting times ahead.